This cozy blazer will add instant polish to any look. What’s comfy and warm, yet structured and polished? This week’s Fabulous Find! 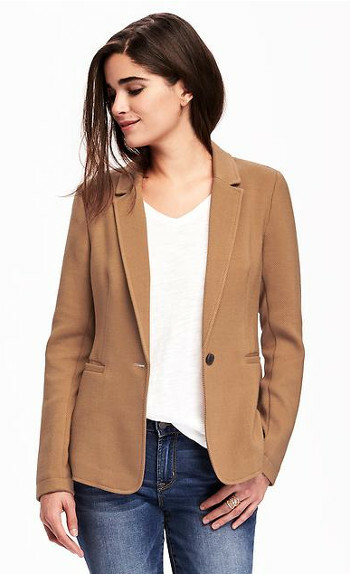 This chic blazer from Old Navy is the perfect fall staple: it’s made of soft, stretchy twill, yet immediately dresses up any look. Plus, it comes in a range of fall-ready colors (including camel, red, navy, and black) and sizes (tall and petite, too!). And for the affordable price of $38, it’s sure to become your new favorite layering piece. This classic and sophisticated combo will never go out of style. The camel blazer contrasts nicely with a blue button-down, and black jeans add polish while staying comfortable. For added height, slip on a pair of eye-catching leopard pumps. A sleek satchel completes the look. This look has a classy yet retro vibe. The camel blazer pairs perfectly with a black turtleneck and plaid mini skirt for colder weather. 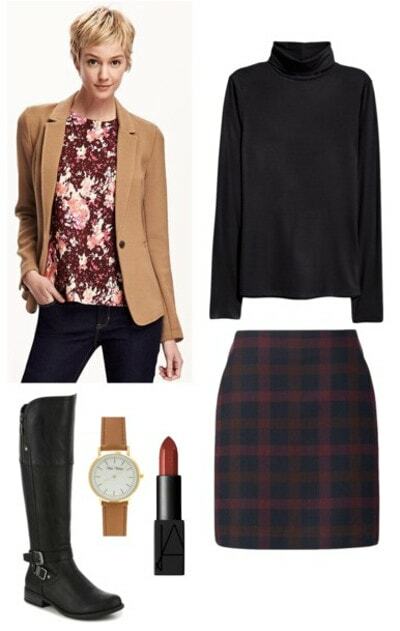 Keep to timeless shoes and accessories, like sleek black riding boots, a simple watch, and red lipstick. 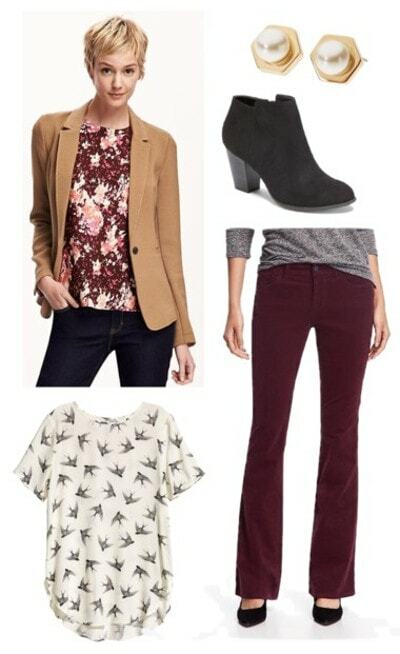 This cute ensemble incorporates all your favorite fall staples. Start with the camel blazer and some bootcut, burgundy-hued cords for a classic color pairing. 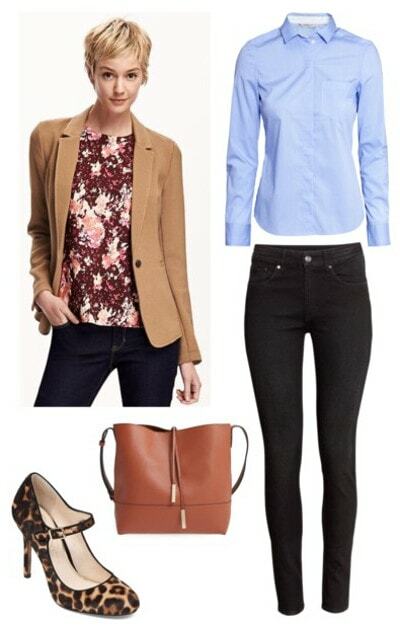 Black booties and a printed blouse balance out the look. For the final touch, try a pair of subtle pearl earrings. Are you a blazer girl? How do you add polish to your favorite outfits? Let us know in the comments!